Competition “A forward-looking way of life”. People are the most important resource of any organization. A competent and motivated team gives you an edge over the competition. Maintaining and developing their skills, nevertheless, requires constant attention and action. 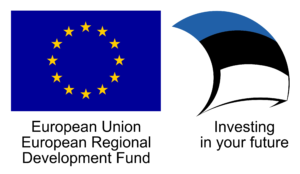 The best way to do this is to take advantage of the experience and knowledge that already exists in Estonian universities and order the most suitable additional training course from them. Estonian universities, research and development organizations offer a large variety of different continuing education courses from language studies to target market cultural background awareness, programming, and food sciences all the way to constructional physics. You can contact us by phone: +372 737 4806 or send your training needs to us at adapter@adapter.ee or enter them in the online form below. We will provide an answer to your request within 5 working days. Palun kirjeldage , mis küsimus vajab lahendamist, kuidas meie teadlased saaksid lahendamisel abiks olla. Mis info on teil juba olemas? Kui kiiresti oleks tulemust vaja? Have you turned to some university or RD institution already? If you did, then what information did you get? Kui olete, siis millist infot sealt saite? By checking this box you confirm that we may contact you with information about ADAPTER news,such as new services available via ADAPTER, upcoming events or offers etc. Cookies are small text files that are saved on your system by your web browser. Cookies are used to assess and observe the use of the website in order to improve your user experience and to offer a personalized experience while navigating.